The parasha and current events. Tractate Makot ends with an incident where Rabban Gamliel, R. Elazar ben Azariya, R. Yehoshua and R. Akiva were viewing the devastation on the Temple Mount. The first three rabbis wept while R. Akiva expressed feelings of gladness. When asked to explain, R, Akiva quoted from the prophets that after the destruction will come eternal peace to the holy city. The rabbis exclaimed, “R. Akiva you have comforted us, you have comforted us”. I underwent a similar experience where several of my rabbinic colleagues were very agitated in the face of a particular incident. I had the opportunity to mitigate their concerns, basing my words on a chapter of the prophets. We were all delighted to learn that President Trump had appointed two religious Jewish attorneys to highly sensitive positions - Mr. Friedman as ambassador to Israel and Mr. Greenblatt as the President’s special envoy to the Middle East. When their pictures appeared, we felt a sense of nachas (pride) to see that these gentlemen were wearing very visible kippot. So now there are two visibly religious Jews close to the President's “ear”. However, the kippot suddenly disappeared and were no longer to be seen when Messrs. Friedman and Greenblatt entered their respective positions. Many in my rabbinical circle of friends and others felt insulted by their obvious act of publicly repressing their Jewishness. So now we have two former highly visible religious Jews presently with bare heads. 18 So I poured out my wrath on them because they had shed blood in the land and because they had defiled it with their idols. 19 I dispersed them among the nations, and they were scattered through the countries; I judged them according to their conduct and their actions. 20 And wherever they went among the nations they profaned My holy name, for it was said of them, ‘These are the Lord’s people, and yet they had to leave His land.’ 21 I had concern for My holy name, which the people of Israel profaned among the nations where they had gone. 22 “Therefore say to the Israelites, ‘This is what the Sovereign Lord says: It is not for your sake, people of Israel, that I am going to do these things, but for the sake of My holy name, which you have profaned among the nations where you have gone'." The prophet is saying that our forced exile, which resulted from our negation of the Torah, profaned not only ourselves as Hashem’s chosen people but even more so profaned His Holy Name. The exile demonstrated that His awesome and infinite presence had had little influence on us. Furthermore, our more-than 100-generation presence in galut added a dimension to our blasphemous and irreverent conduct by continually showing our gentile neighbors and hosts how we were rebelling against the Almighty. From the point of view of the Prophet Yechezkel, the sight of a Jew driving his car on Shabbat down 13th Avenue in Boro Park is less a sacrilege of the Holy Name than a Jew on Shabbat with his tallit over his head walking with his 10 “payoted” (sidelocks) sons to the rebbe’s shtiebel, because the Jewishness of the chassid is more visible than the Jew in the car. Messrs. Freidman and Greenblatt have performed a favorable act by removing their kippot and looking less Jewish. There is less desecration of the Holy Name by observant Jews who continue to live in galut, when the gates of our land are open to every Jew. The Prophet Yechezkel, who lived through the destruction of the First Temple and the exile to Babylon, felt the intensity of the desecration when the gentiles perceived that God had erred in His choice of the Jews as His chosen people. 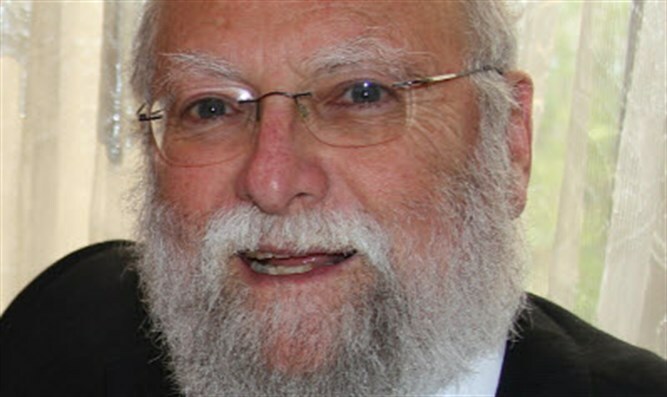 The more visible Jews are in the galut - promoting their Jewishness, building larger and more magnificent religious structures and placing kosher labels on a plethora of previously-non-kosher products - the greater the desecration of the Holy Name, especially when the gates to the holy land are open to receive Rachel’s children. Let me put it simply. 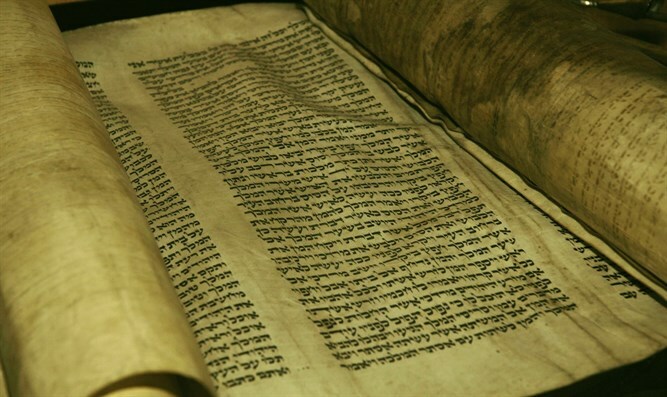 What would my six-year-old granddaughter's response be to the question regarding where the truth of the Torah lies, assuming that all the rabbis, grand rabbis and poskim residing in the galut today were on one side of the scale and the words of the Prophet Yechezkel on the opposite side? She would look at me incredulous and say, “Saba ma kara lecha? (Grandfather, what's with you?). You know that the words of the Prophet are the words of Hashem!" The Prophet attacks the presence of Jews in the galut as a desecration of Hashem’s Holy Name (a chillul Hashem), implying that our presence here in Eretz Yisrael is a sanctification of His Holy Name (kiddush Hashem). However, we are witnessing a situation where many Haredi elements have brought the galut way of life here to Eretz Yisrael and with it the elements of chillul Hashem that existed there. The outstanding example is the attitude of certain segments in the Haredi community to army service. After all the claims are made, their position has more to do with an anti-Medinat Yisrael attitude than loving Torah study. Where one mother waits for her son to come home every night to enjoy her chicken soup, while another mother worries over her son at the border protecting the other boy’s right to eat chicken soup. These Hareidim view the Jewish State as they did the governments of Poland, the Ukraine and Russia. In the eyes and words of the paranoiac Haredi leadership, military service is the Israeli government's secret policy of secularizing the Haredi youth. In addition, the pre-Shoah divisiveness of religious life that existed in the galut has been imported here. The examples abound: The split between the Lithuanian and Chasidic communities, and the splits within their own communities; the refusal of Haredim to incorporate Sephardic children into their schools; the use of Yiddish as their natural way of speech rather than Hebrew; the refusal to realize that here everything is different when we have to establish and maintain our own state, and the unsustainable situation where tens of thousands of their children are denied the basic elements of education. It is predicted that by 2030, the majority of school-age children in the country will be comprised of Haredim and Arabs, with disastrous implications. A Jew in the galut is a chillul Hashem, but galut implanted in Eretz Yisrael is a perversion of Torah and an even more disastrous chillul Hashem.